All of these shiny new skins can be unlocked beginning April 16. The next Overwatch Archives event, Storm Rising, begins on April 16 and runs through May 6. While there’s a brand new co-op mission for players to enjoy, many people only have one thing on the mind: shiny new skins. Storm Rising brings nine new skins to the game with a theme of opulence and sparkle. Here are all the skins you can unlock during the event. These skins are lower in rarity than legendary skins and will cost 750 gold per skin. They can also be unlocked through Storm Rising loot boxes. 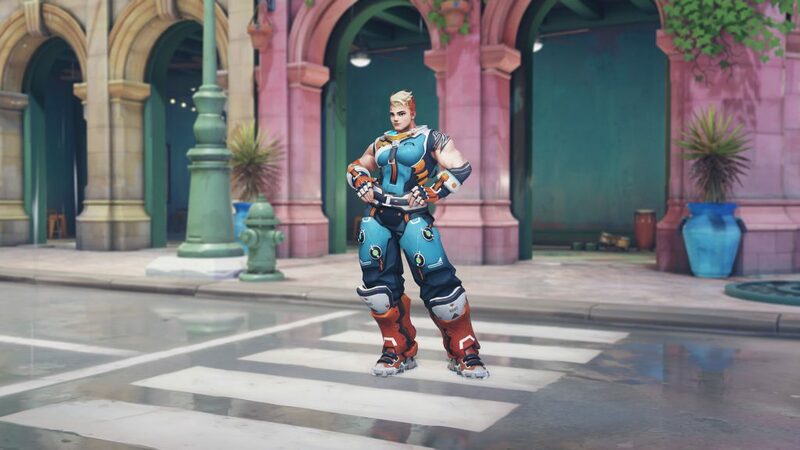 Zarya is feeling the need for speed during this event. The weightlifter gets a sleek new skin complete with a dual-tone haircut. Her normal pink outfit is traded for a teal and orange racing getup. Considering the tagline for this year’s event is “chase the truth,” this skin is now making a bit more sense. Can hamsters even gamble? 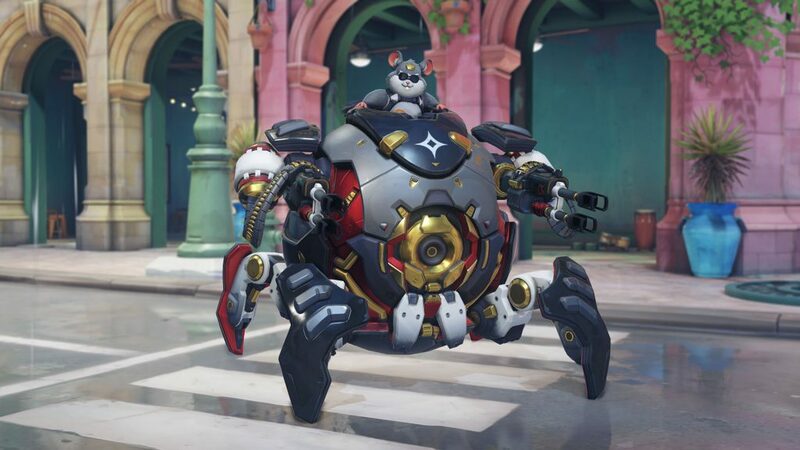 This new skin for Wrecking Ball begs the question, as Hammond trades in his usual Junkertown machine for a black, red, and gold demolition vehicle. He even gets a personal upgrade with a pair of very tiny, very cool sunglasses. 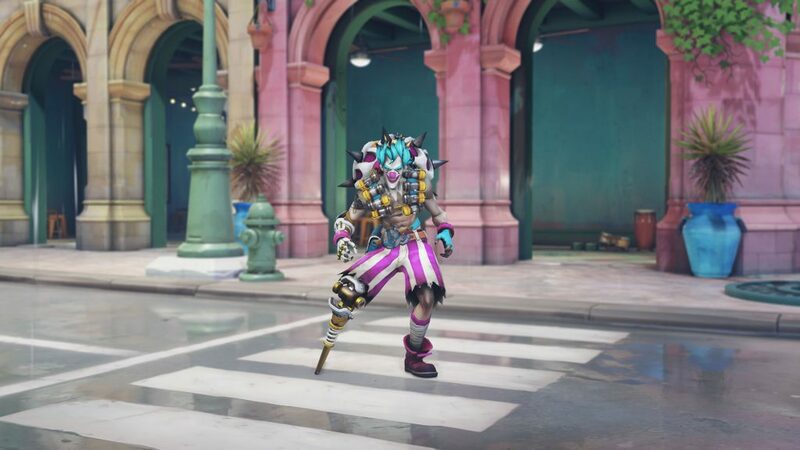 Even during a serious event, Junkrat is still clowning around. This new skin gives his normal drab outfit a very colorful update with teal, purple, and gold details. His RIP-Tire is even given a white paint job and colorful rim. These are the rarest skins available for any given hero and will cost 3,000 gold per skin. You can also hope to get lucky and unlock them through Storm Rising loot boxes. The first skin revealed for the Overwatch Storm Rising event shows Baptiste in his former Talon uniform. This is a skin seen in Baptiste’s origin story, where he joined Talon as a way to make ends meet after losing his parents in the Omnic Crisis. This refined and crisp skin shows Moira as she would look in a lab setting, likely getting up to some morally questionable experiments. She gets a white lab coat, purple tie, and matching nails. 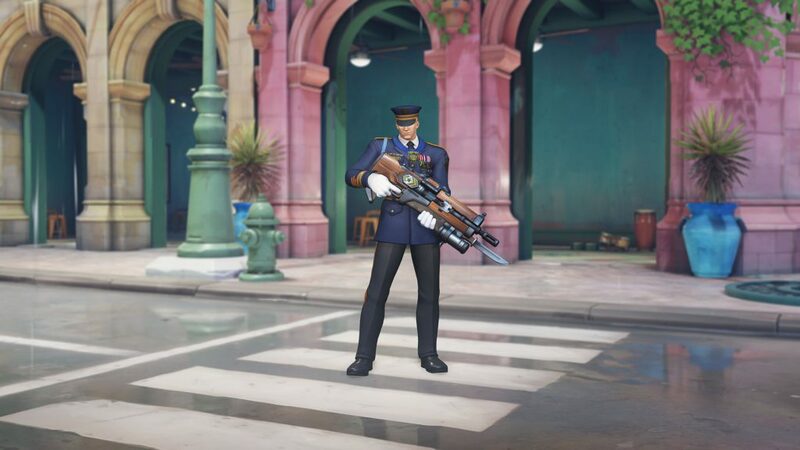 This is the perfect skin in which to spam Moira’s “stupidity is not a right” voice line. Thankfully for everyone, Soldier: 76 isn’t the type to brag about how many gold medals he’s earned. His newest skin shows him in full military regalia, adorned with many hard-earned, heroic pins. He appears younger and less grizzled, meaning this skin is quite a throwback to the old days. Even Bastion needs to let out his evil tendencies sometimes. 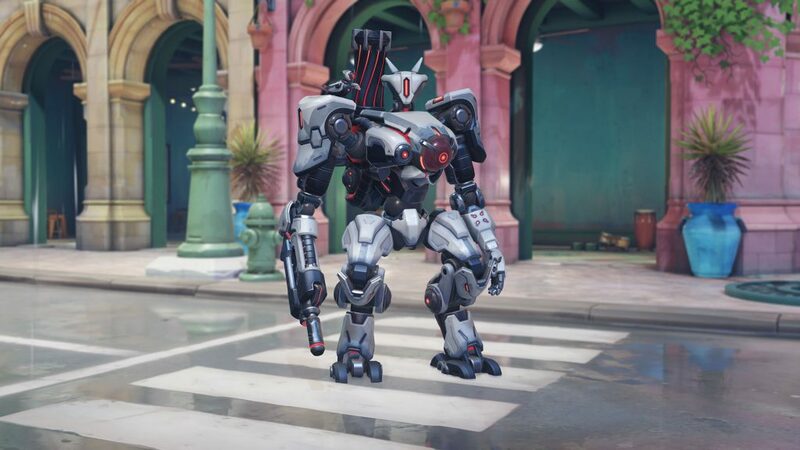 This new skin gives the friendly omnic a makeover from the dark side, modeling him after the Gwishin omnics that attacked South Korea and China. Even Bastion’s bird companion Ganymede gets a very spooky overhaul, complete with one glowing red eye. Ever since Ashe’s introduction video showed a weathered picture of a younger Jesse McCree, fans have been speculating that his next skin would be a throwback to his Deadlock Gang days. They got what they were hoping for. McCree’s newest skin gives the cowboy a muted blue denim look complete with a much more subtle beard. Being bad never looked so good. 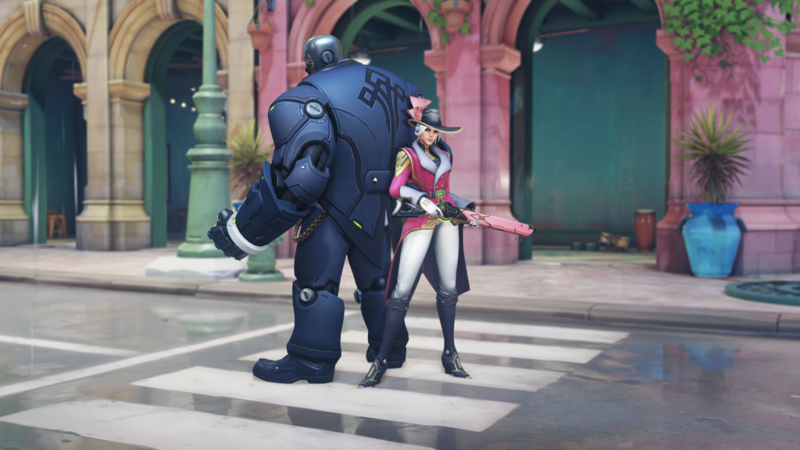 Ashe’s rich girl getup was the final skin revealed before the Storm Rising’s start date. She’s dressed in a luxurious pink jacket, complete with fur, gold, and a clutch purse that doubles as dynamite. Even B.O.B. is dressed in his finest omnic butler suit. Overwatch‘s Storm Rising event runs from April 16 to May 6. Players will have three weeks to unlock all of these brand new skins. In addition, they’ll be able to purchase and unlock skins from previous Overwatch Archives events at a reduced rate. Epic skins from previous Archives events will only cost 250 gold; legendary skins are reduced to 1000 gold.